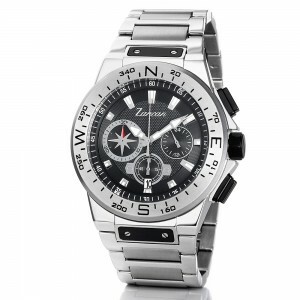 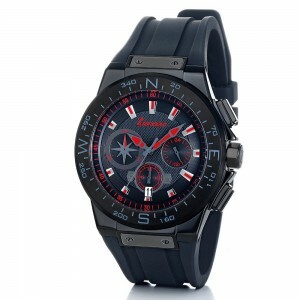 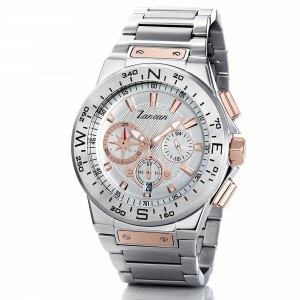 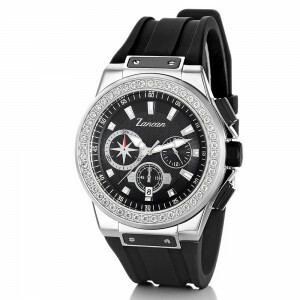 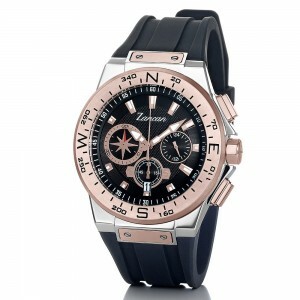 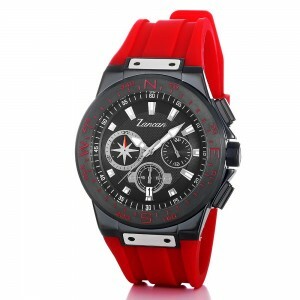 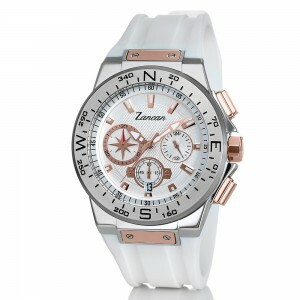 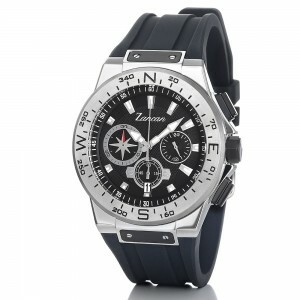 Men’s chronograph watch with calendar. Stainless Steel case with blu silicone watch strap. 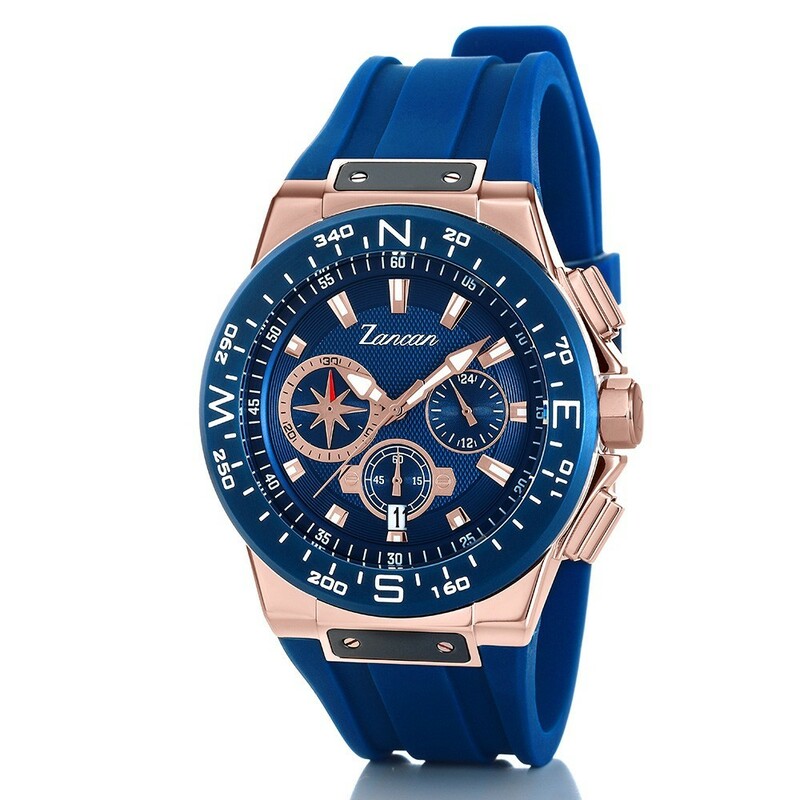 Blu dial with luminous markers.